FIDE Training! Don't miss the action! In 1998 FIDE formed a powerful Committee comprising of leading chess trainers around the chess globe. Accordingly, it was named the FIDE Trainers Committee, and below, I will try to summarize the immense useful information for the readers, current major chess training activities and appeals of the Committee, etc. Among their main tasks in the period 1998-2002 were FIDE licensing of chess trainers and the recognition of these by the International Olympic Committee, benefiting in the long run, to all chess federations, trainers and their students. The proven benefits of playing and studying chess have led to countries, such as Slovenia, introducing chess into their compulsory school curiccullum! The ASEAN Chess Academy, headed by FIDE Vice President, FM, IA & IO - Ignatius Leong, has organized from November 7th to 14th 2003 - a Training Course under the auspices of FIDE and the International Olympic Committee! IM Nikola Karaklajic from Serbia & Montenegro provided the training. The syllabus was targeted for middle and lower levels. At the time, the ASEAN Chess Academy had a syllabus for 200 lessons of 90 minutes each! I am personally proud of having completed such a Course in Singapore. You may view the official Certificate I received here: http://www.jovanpetronic.com/aboutme.htm. Another Trainers' Course was conducted by FIDE and the Asean Chess Academy from 12th to 17th December 2004! Extensive testing was done, at http://www.singaporechess.org.sg/asianyouth/trainerstc.doc is the list of the candidates who had passed the FIDE Trainer high criteria! The main lecturer was FIDE Senior Trainer Israel Gelfer. At a recent national trainers meeting two weeks ago in Thesalloniki, another FIDE Trainers Course has been suggested to take place this year in Greece by the Greece Chess Federation President and Vice President of FIDE - IM George Makropoulos! At the recently finished 75th FIDE Congress in Calvia (Spain) 2004, new chess training titles have been established, numbering five in total. Here is the FIDE Trainers System: Developmental Instructor, National Instructor, FIDE Instructor, FIDE Trainer and FIDE Senior Trainer. Details of the FIDE Trainers System can be viewed online at: http://www.fide.com/news.asp?id=611. The FIDE Training Committee has set itself another gigantic task of preparing a modern chess training program, with professional manuals accessing all levels of chess. An official FIDE Training Center for young players in Slovenia has been established, supported by the Slovenian Government and its National Chess Federation! The World`s best trainers (mainly FIDE Seinor trainers, using all FIDE languages!) will teach on these training seminars. 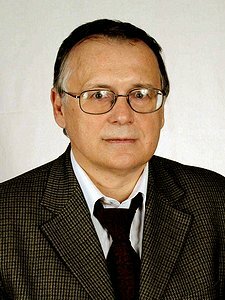 There will be 8 regular seminars in 2005, with Adrian Mikhalchishin, Yuri Razuvaev and others. You can view the details at http://www.fide.com/news.asp?id=612. Young chess players all over the world are invited! An appeal has been set for conducting new seminars for trainers during the World and Continental Youth Championships. 75th FIDE Congress (you may view the Committee's report at: http://www.fide.com/news.asp?id=610) awarded 31 FIDE Senior trainers titles, making it possible to start the system of trainers education. The updated list of FIDE Senior Trainers can be seen at: http://www.fide.com/news.asp?id=613. The FIDE Trainers Committee has not forgotten that there are still many excellent chess trainer resourses out there! It requests all national Federations at http://www.fide.com/news.asp?id=612 to propose their own list for candidates for FIDE trainers titles! The Committee shall then review the qualifications of proposed candidates. This unique proposal is valid untill May 2005 only! Afterwards, FIDE Trainer candidates can proceed to apply via their regional Chess Academies. The Questionnaire Form for the FIDE Trainers title can be downloaded here: http://www.fide.com/news/download/questionnaire.doc. In coordination with the FIDE Trainers' Committee, the first training course, carried out by outstanding lecturers, took place at the International Trainer Academy in Berlin (Germany) from 5th to 11th November 2004. After successful completion of this course, new titles of FIDE Instructor and FIDE Trainer were acquired. All the details can be viewed at: http://www.fide.com/news.asp?id=627! 1 Developmental Instructor (DI) Knows the rules of Chess; rating of minimum 1400. Simple instructions. Minimum 2 years experience as Developmental Instructor; rating of minimum 1600; trainees have minimum top 10 placings in recognized national-level competitions. Train players with rating up to 1600. Minimum 2 years experience or National Instructor; rating of minimum 1800. National examiner and conduct courses for Instructors from Levels 1 and 2; train players with rating up 1800. Minimum 5 year experience; tertiary education or FIDE Instructor; rating of minimum 2300 or for a time; speaks one FIDE language. National examiner and conduct course for Instructors from Levels 1 to 3; train players with rating above 2300. Minimum 10 years or FIDE Trainer; tertiary education; rating of minimum 2450 or for a time; speaks English; trainees have world/international successes. National examiner; conduct courses for chess trainers from Level 3 upwards; train players with rating above 2450. Success of Berlin's 1st Course led to the organization of a 2nd one! The Invitation for the 2nd FIDE Trainers Course from 1st-7th April 2005 in Berlin, can be downloaded using this link: http://www.fide.com/news/download/Course2_Invitation.doc. The Questionnaire for the 2nd FIDE Trainers Course can be downloaded via http://www.fide.com/news/download/Course2_Questionnaire.doc. The FIDE training process developed fast, the number of certified FIDE Trainers has grown and they are now (in alphabetical order) - none other than: Alburt Lev (USA), Asanov Bolat (Kazahstan), Azmaiparashvili Zurab (Georgia), Boensch Uwe (Germany), Beliavsky Alexandr (Slovenia), Chernin Alexandr (Hungary), Dorfman Iosif (France), Dvoretsky Mark (Russia), Gelfer Israel (Israel), Georgadze Tamaz (Georgia), Gulko Boris (USA), Illescas Miguel (Spain), Kuzmin Alexey (Katar), Khodarkovsky Michael (USA), Leong Ignatius (Singapore), Mikhalcishin Adrian (Slovenia), Marjanovic Slavoljub (Serbia & Montenegro), Mohr Georg (Slovenia), Nikitin Alexandr (Russia), Petrosjan Arshak (Armenia), Polgar Zsuzsa (USA), Postovsky Boris (USA), Psakhis Lev (Israel), Razuvaev Yuri (Russia), Seirawan Yasser (USA), Sosonko Genna (Netherlands), Schmidt Wlodzimerz (Poland), Tukmakov Vladimir (Ukrain), Ubilava Elizbar (Georgia), Vladimirov Evgeny (Kazahstan), Zapata Alonso (Columbia) and Xie Yun (China)! These names are well known to all, a professional group of experienced chess trainers with the enormous task of raising the level of chess and chess training all around the world. The FIDE Trainers Committee deserves a special mention. 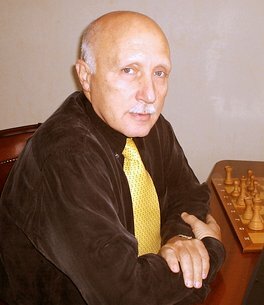 It is led by Grandmaster Yuri Razuvaev as Chairman. Brief coaching and playing highlights: Grandmaster since 1976, Honorary trainer of Russia since 1977, 1969-1974 Assistant of World Champion M.Botvinnik in his school, 1973-1978 coach of World Champion A. Karpov (together with grandmaster S.Furman), 1978-1982 assistant of World Champion V.Smyslov in his school, 1984-1988 President of children chess club "Locomotive", trainer of national team of USSR and Russia at chess Olympiads and European team championships, 1982-1994 Chairman of Trainers Committee of Russian chess federation, since 1998 Chairman of FIDE Trainers Committee, participated in match Soviet Union - Rest of the World, 7th board against R. Huebner(2-2), winner of many international tournaments: Dubna 1978, Polanica 1979, London 1983, Dortmund 1985, Jurmala 1987, Pula 1988, Protvino 1988, Reykjavik 1990, Leningrad 1992, Tiraspol 1994, Reggio Emilia 1996, San Sebastian 1996. I am sure all would be interested in learning more about the distinguished members, so, here are very brief playing and training highlights of randomly selected ones, in random order, who kindly made their personal data available for all to view. Enjoy further reading! 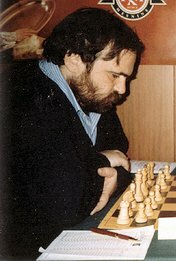 Career chess playing highlights: Champion of the USSR in 1977, Champion of USA in 1994 and 1999, was among 8 candidates for match with Gary Kasparov in 1994, was among 16 best in the World Championship of 2000. Member of the USA Olympic team at the last 9 Olympiads. Has positive score aganst Gary Kasparov: 3 wins, one loss and 4 draws. Career chess training highlights: worked as a personal trainer with Vasily Smyslov, Lev Polugaevsky, Vladimir Tukmakov, Anna Akhsharumova, Irina Levitina, current USA women Champion Rusudan Goletiany. Worked as a trainer-assistant in children schools with Mikhail Botvinnik, Vasily Smyslov and Lev Polugaevsky. Ran Gulko's Chess Academy for children in New Jersey - USA. Worked as a trainer with Judith and Susan Polgar. Career chess playing and training highlights: International Grandmaster since 1977, Champion of the Soviet Union in 1977, Champion of France in 1998, Champion of Europe in 1977, winner of European Team Championships in 1993 and 1994, member of French Olympic team. Rating of 2603. Collaboration with T. Petrosian, L. Polugaevsky, A. Beliavsky, G. Kasparov, B. Gelfand and V. Topalov. Educated GMs Relange, Fontaine and Bacrot. Last is ranked No.9 in the World with the rating 2715. Twice the captain-coach of the French Olympic team. 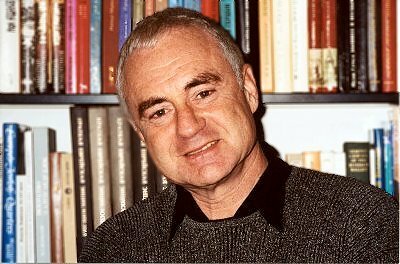 Author of the books "The Method in Chess" and "The Critical Moment". Achievements: 4-time Women's World Chess Champion, the only World Champion (male or female) to win the Triple-Crown (Rapid, Blitz and Traditional World Championships), 5-time Olympic Champion with 10 overall medals - Never been defeated in Olympiad competition. 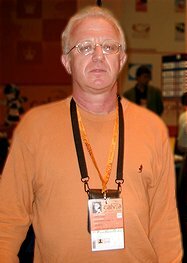 (Award-winning columnist with columns in Chess Life, NY Empire Chess, ChessCafe.com, School Mates, Chess Horizons, and Georgia Chess, etc. 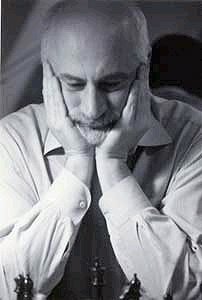 ), Cramer Award for "Best Chess Column of the Year" (2003), Chess Journalists of America Award for Best Magazine Column (2003), Chess Journalists of America Award for Best Endgame Analysis (2003 and 2004), Chess Educator of the Year (2003), Pioneer in Women&rsquo;s Chess, an ambassador to the game and a true role model to millions of young people, Founder of the Susan Polgar Foundation (A nonprofit organization to promote chess, with all its social, educational and competitive benefits throughout the United States, for young people of all ages, especially girls), Sponsor and organizer of the prestigious Susan Polgar National Invitational for Girls Championship (held annually for the top girl under 19 years old from each state). Career chess playing highlights: Grandmaster since 1982. USSR-ch rapid 1 place, Cienfuegoss 1 place, Troon 1 place, 1986 Sarajevo 1-3 place, Yerevan 1-2 place, Szirak 1 place, USSR-sf Sevastopol 1-5 1 place, 1987 Yurmala 1-4 place, USSR-ch rapid Moscow 1 place, 1988 Lugano op- 1-7 place, Portvino 1-4 place, Belgrade GMA 1-7 place, 1989 Amsterdam Ohra op 1-2 place, 1990 Tel Aviv ASA 1 place, 1991 Hartberg op 1 place, Lenk op 1 place, Tel Aviv ASA 1 place, 1992 Aruba 1 place, 1993 Ostend op 1 place, 1994 Benasque op 1 place, Metz op 1-2 place, 1995 Andorra op 1-3 place, Wien op 1-4 place, 1996 Andorra 1-3 place, La Coruna 1-5 place, Mondariz op 1 place, Wien op 1-5 place, ISR-ch Jerusalem 1-3 place, 1997 Hoogeveen op 1-3 place, 1998 Andorra 1-4 place, Balaguer op 1-4 place, 1999 Londom Mind Olympiad 1-3 place, ISR-ch 1-3 place, Andorra op 1 place, Andorra 1 place. 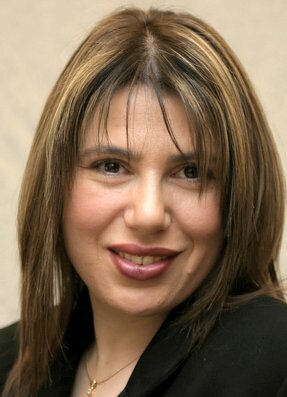 Career chess training highlights: Susan Polgar - 1994-1996 up to the moment when she became World Champion. Emil Sutovsky 1994-1996 - Champion of the World between juniors under 20 at Columbia 1996. Judit Polgar 1997-2000 as a main coach. 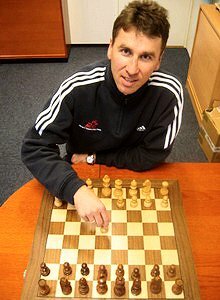 Maxim Rodshtein 2001-2005 World Champion under 16 in 2004.
International Grandmaster, highly successful Dutch trainer, author of chess bestsellers. Achievements: International Grandmaster 1972. Champion of Ukraine, 3 times( 1970, 1972, 1983 ) vice-champion of USSR, 3 times (1973, 1983, 1989) team champion of Europe, Olympiad champion, 1984, team Vice-Champion of the World 1993, participant (2 out of 3) match USSR - rest of the World 1984, the winner of about 50 international tournaments. Second of Korchnoj in Candidates cycle 1991, Karpov (match vs. Anand 1998). Chief coach of Ukraine team - current World and Olympiad champions. Playing highlights: 1977- 2nd place at World Junior Innsbruck-Austria, 1977 - Sports man of the year (Colombia), 1984 -Grand Master (FIDE Congress Thessalonica), 1988 - 1st - "OHRA" (Amsterdam, Holland), 1993 - 1st - Latino American Grand Prix- Final, (Mérida México), 1st - Latino American Circuit (Grand Prix), 2000 - 1st - Internacional Tournament (Santos, Brasil), 2001 - 2nd - American Continental (Cali,Colombia), 2004 - 1st - National Championship, several times winner of the "Capablanca in Memoriam" (Cuba), Interzonal for the World Championship: Tunez-1985, Zenica-1987, Manila-1990. World Championships: Las Vegas 1999, Moscow 2001. 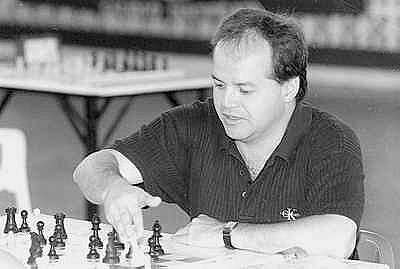 Training highlights: 1995-1996 Trainer Risaralda Team (Colombia), 1988-1992 Director of Universal Chess (Bogotá-Colombia), 1989-1990 Columnist "El Siglo" Newspaper, 1995 - 2nd Brazil Team, Pan-American Junior (Trujillo Venezuela), 2000-2002 Trainer Bogotá Teem (Colombia), 2003-2004 Trainer Risaralda Teem (Colombia), 2004-2005 Trainer Puerto Rico Chess Federation. Some international tournament results: 1. place Loyds Bank Masters 1986, 1-2. place - Jerusalem 1986 (category 10), 3-4. place Wijk Aan Zee 1988 (category 13), 1-2. place Lyon 1988 (category 10), 2. place Hastings Chess Congress 1992 (category 14), 1. place Reykjavik International Open 1996, 1. place Capelle la Grande 1999, 1. place Isle of Man 2003, 1. place Cannes 2004 . Chess coach at the Norwegian College for Top Athletes in Oslo since 1998. Trainer of Magnus Carlsen amongst others. Brief resumes of the other FIDE Senior Trainers can be viewed at: http://www.fide.com/news.asp?id=613. For your personal questions on any FIDE chess training related topic, you may contact directly the Chairman of the FIDE Trainers Committee, International Grandmaster and FIDE Senior Trainer, Mr. Yuri Razuvaev, via email tarussa@rol.ru or yuri_razuvaev@mail.ru. Certified Chess Training is obviously, finally(! ), on its way to its world-wide recognition! No better way to promote excellence in chess!